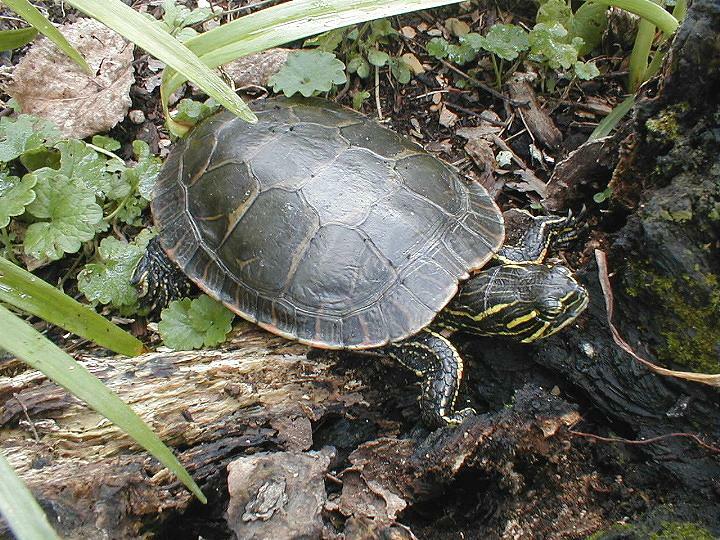 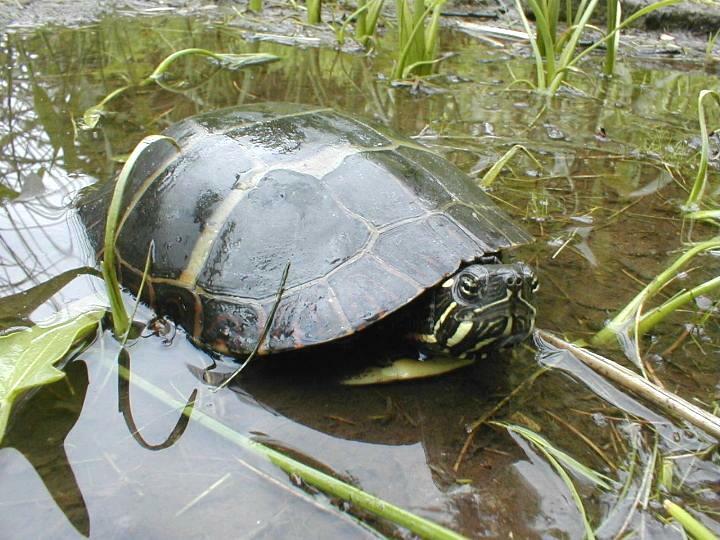 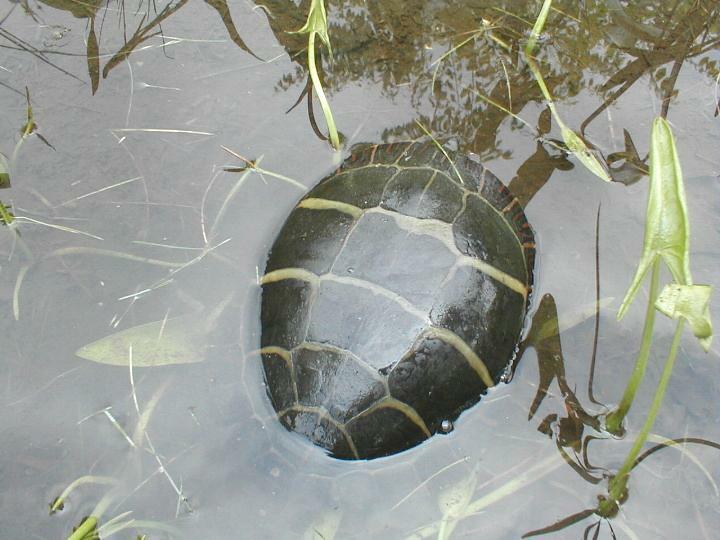 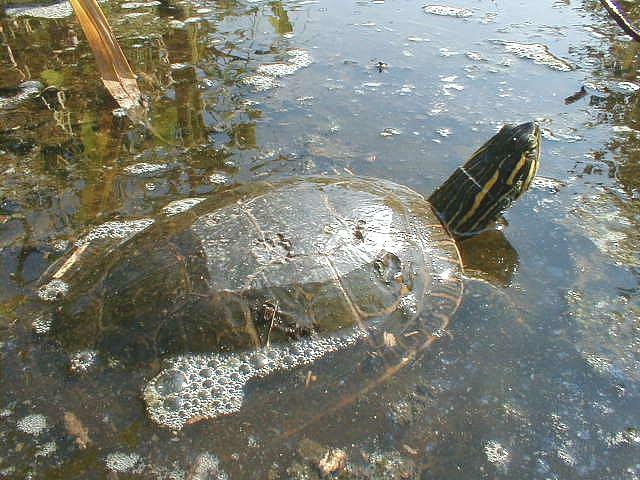 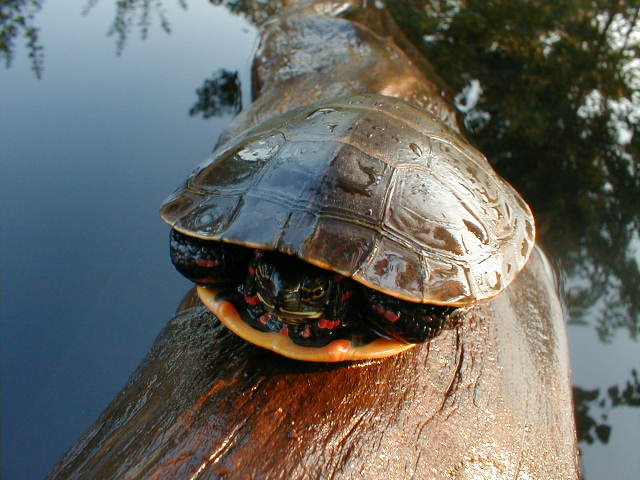 Painted turtles are geographically the most widely distributed water turtles in North America. 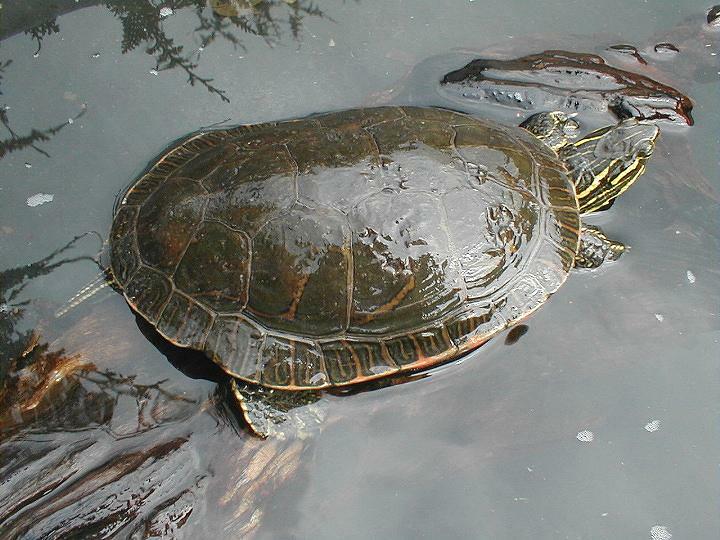 They are high spirited, high energy, and very cold tolerant turtles who are very prolific. 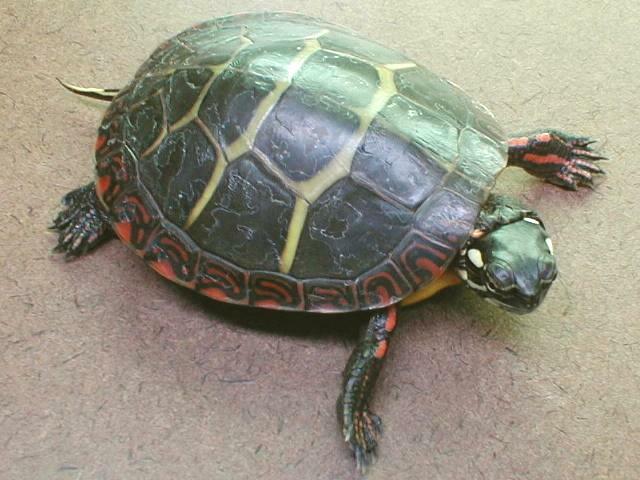 They make excellent pets. 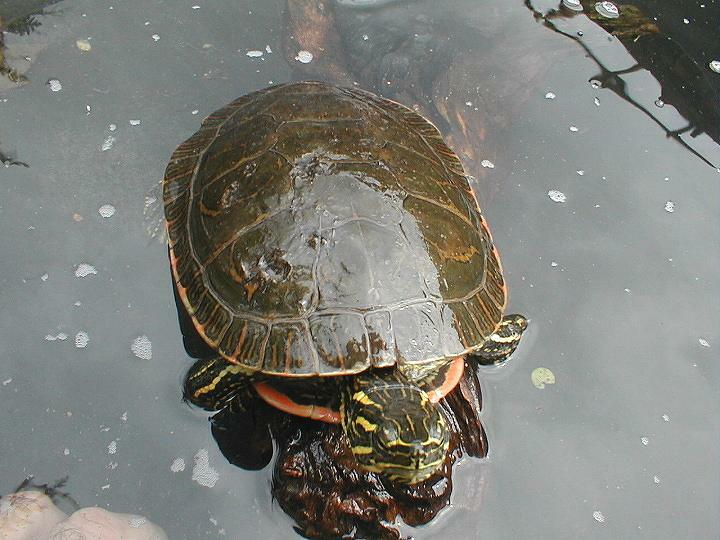 Some become very docile while others remain high spirited. 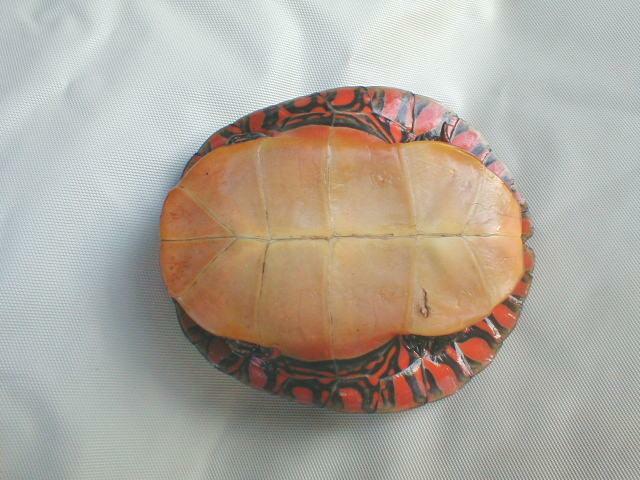 It is the high spirit that makes them very entertaining pet turtles. 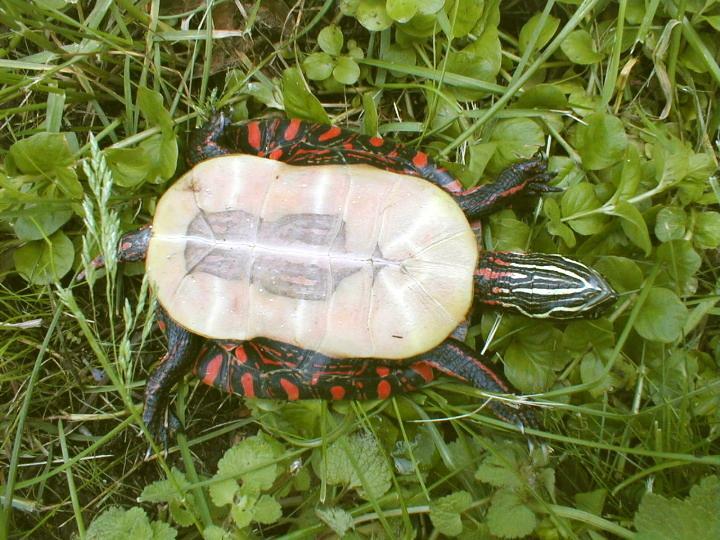 Here in Pennsylvania we have eastern and Midland painted turtles living together and interbreeding. 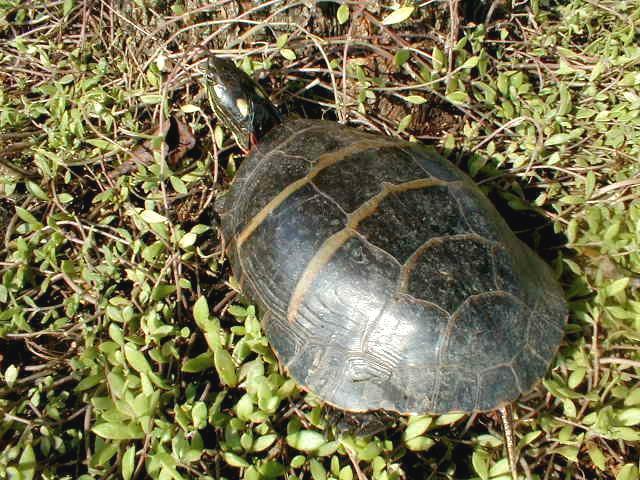 It is common to get both subspecies from the same clutch of eggs. 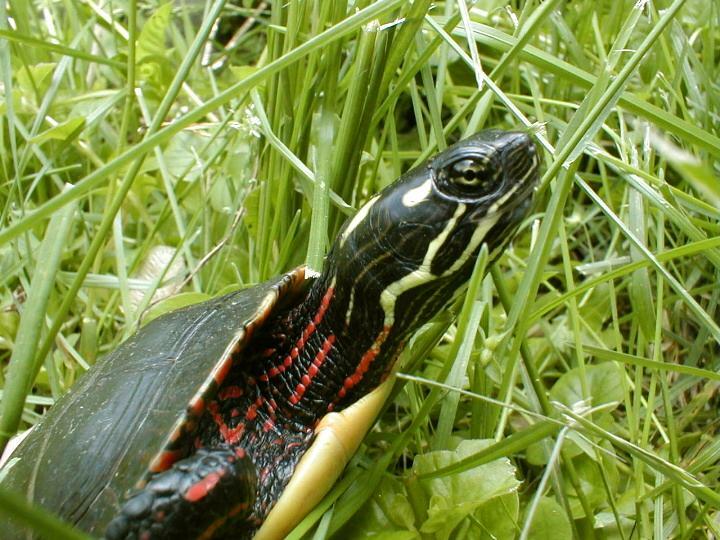 no markings and Midland painted turtles have dark markings that may fade with age. 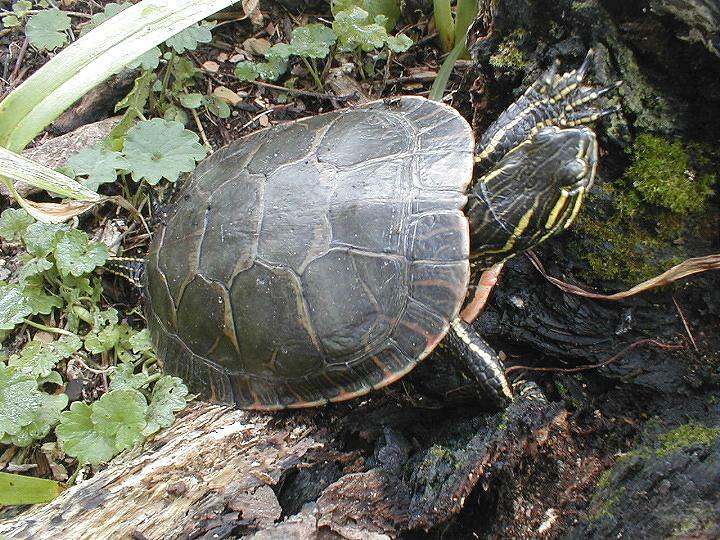 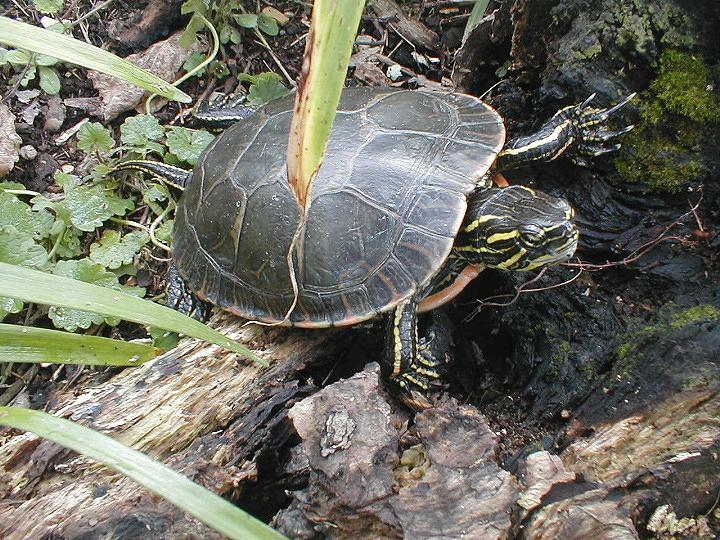 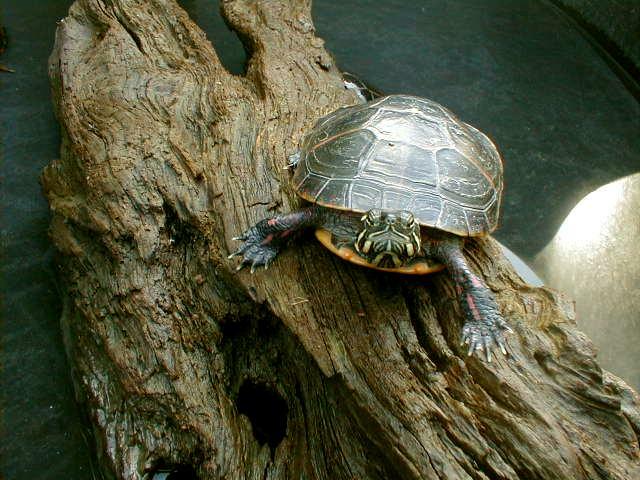 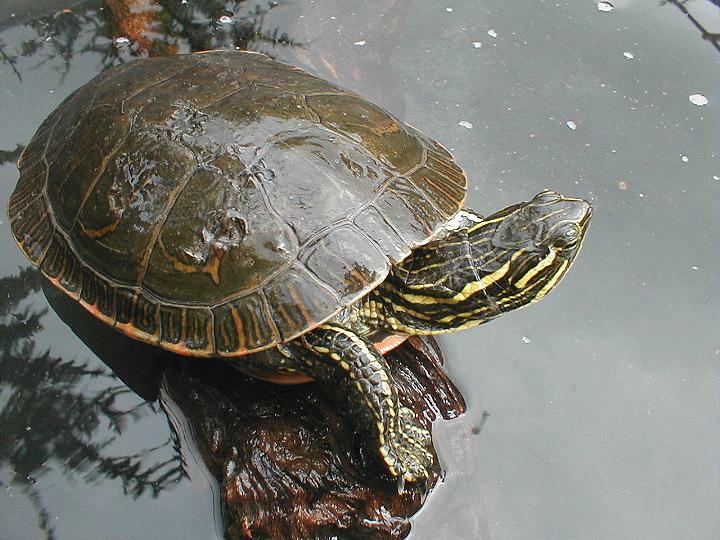 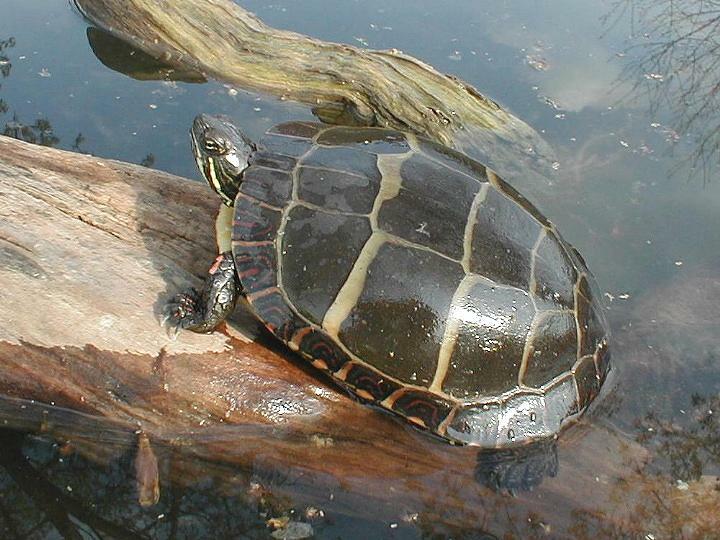 Painted turtles are in the family Emydidae, genus Chrysemys, and species picta. 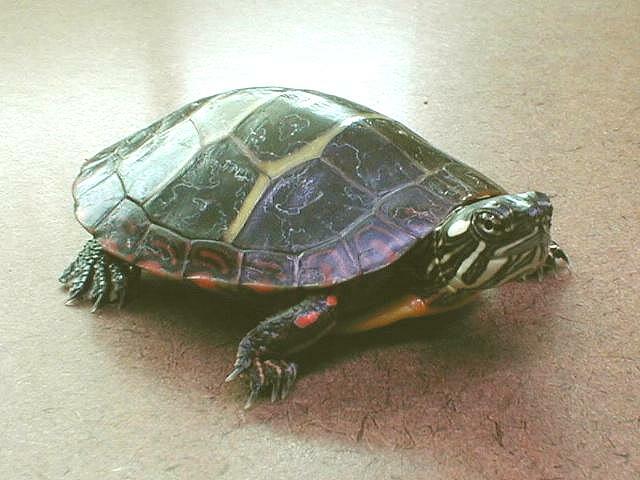 When the scientific name is written the species, picta, is abbreviated as "p.". 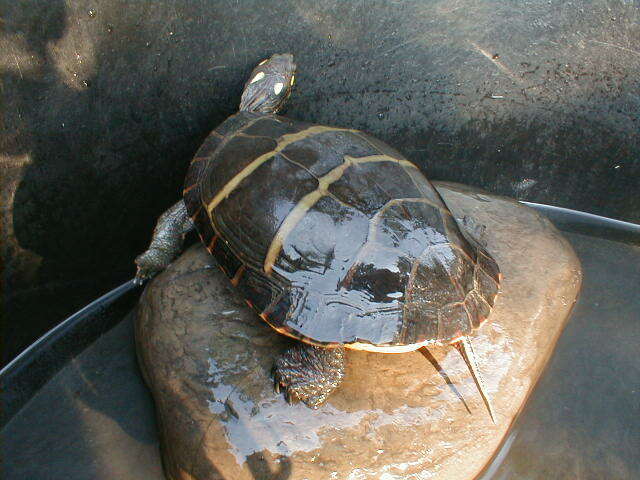 and Western - Chrysemys p. belli. 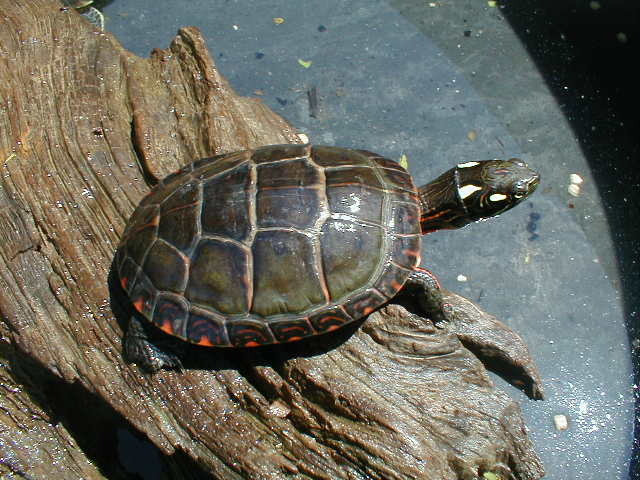 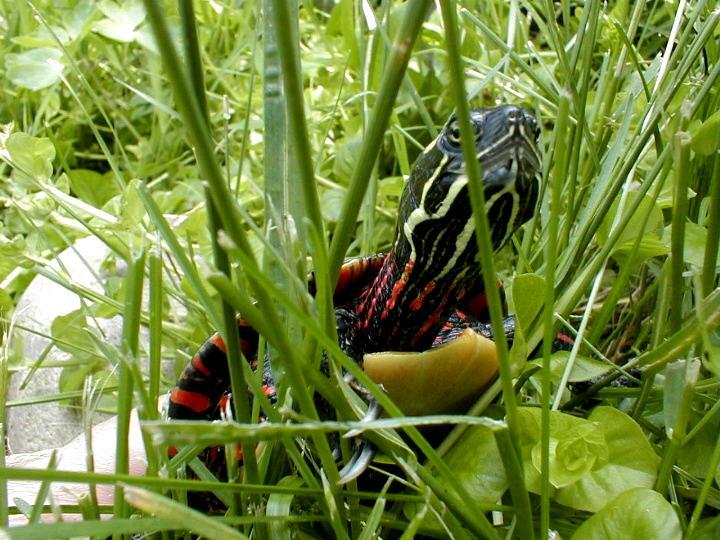 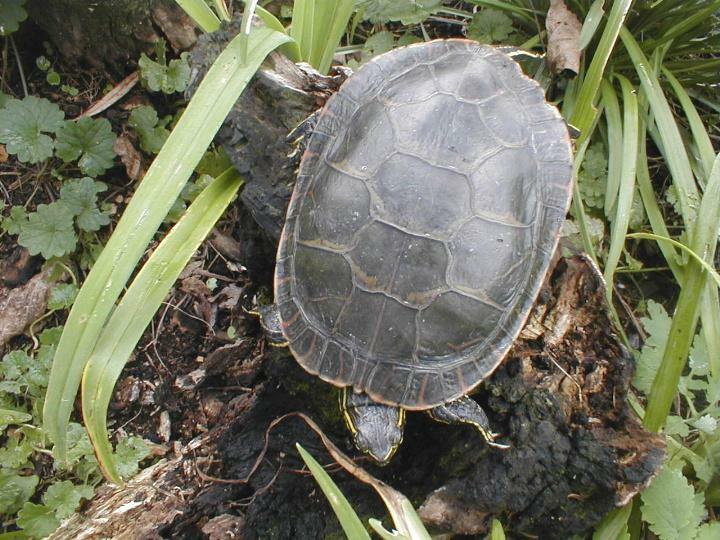 See pictures of baby painted turtles on the Baby Turtles Pictures page. 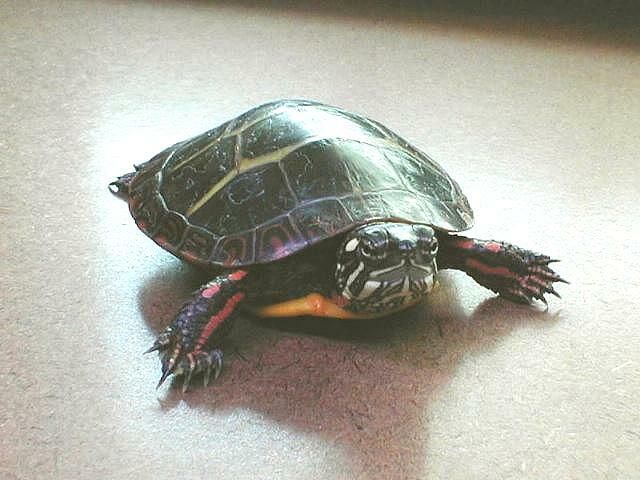 Kilter has produced many babies that have been placed in new homes via our adoptions page. 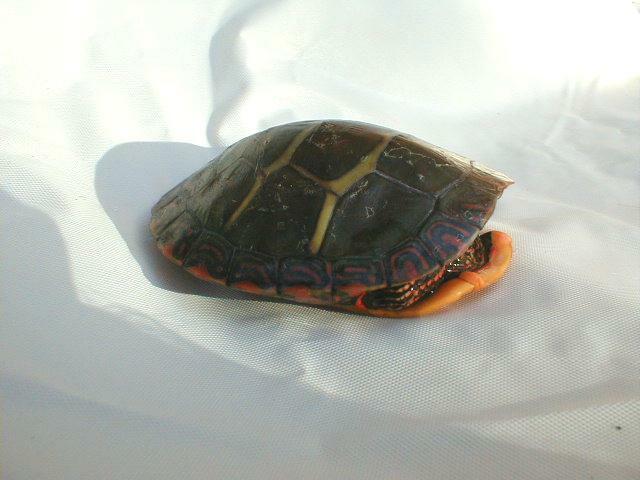 You can see some of her babies on the Baby Turtle Pictures page. 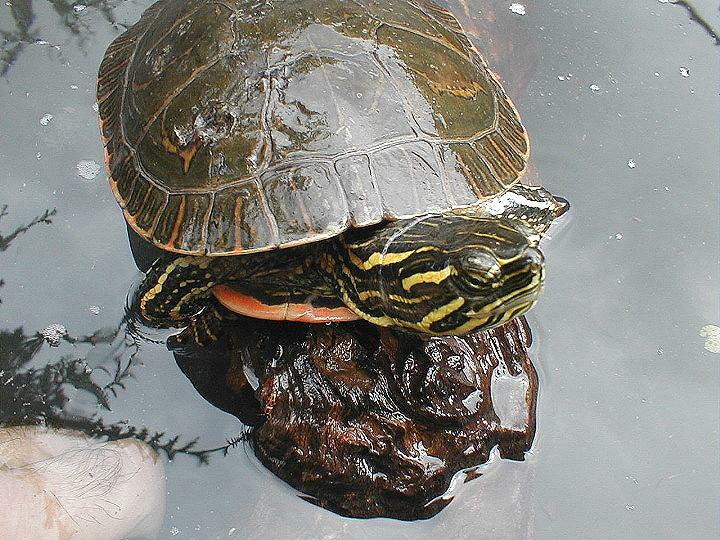 If the name Jezebel seems odd, know that she is a Queens, NY girl. 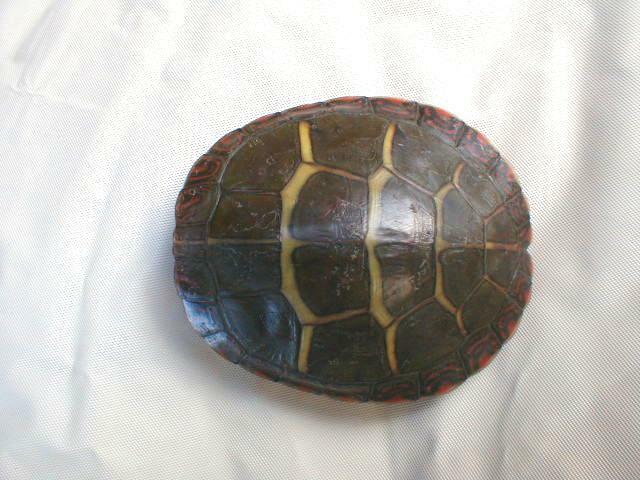 Lilybell, from a juvenile to an adult female. 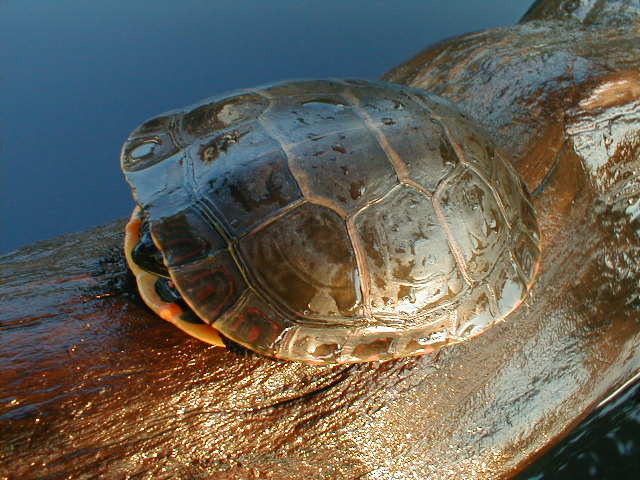 Lilybell has a faint pattern of a Midland painted turtle on her plastron and the bars of an eastern painted turtle on her carapace. 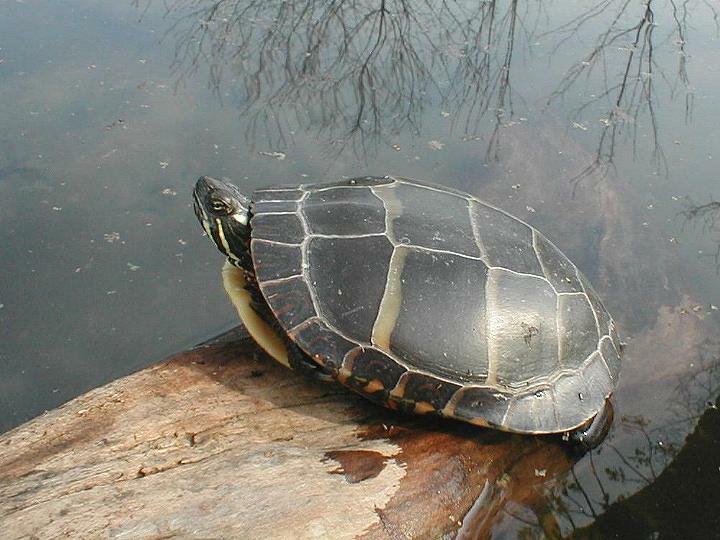 She looked more like a Midland as a juvenile and more like an eastern as an adult. 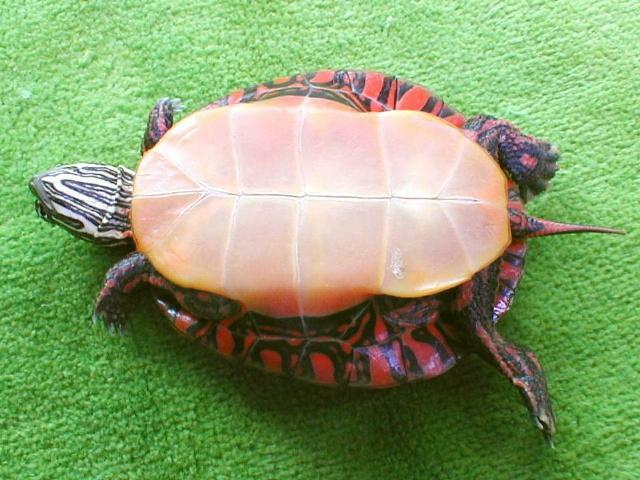 She surely has the genes of both. 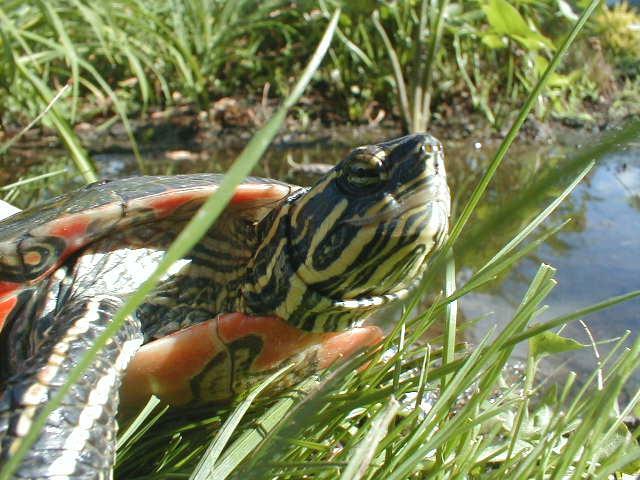 Also see Davenport's wallpaper picture on the Wallpapers page. 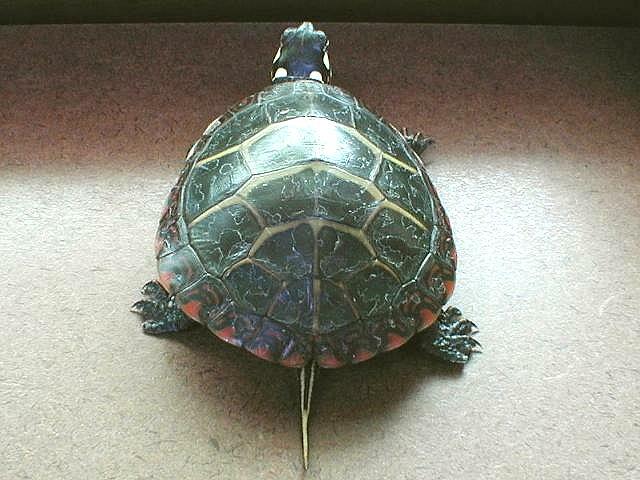 Pincushion is the offspring of Davenport and Sofa.